“Socks in Perfect French” was the subject line of an email I received from Mes Chaussettes Rouges, a French company that sells men’s socks. I was told that they’ve been catching on with women, as well, because everyone needs warm and well-made socks, and asked if I’d like to try a pair. Yeah, I fell for the hype and caved. MAC Heroine lipstick is now in my (rather extensive) collection. 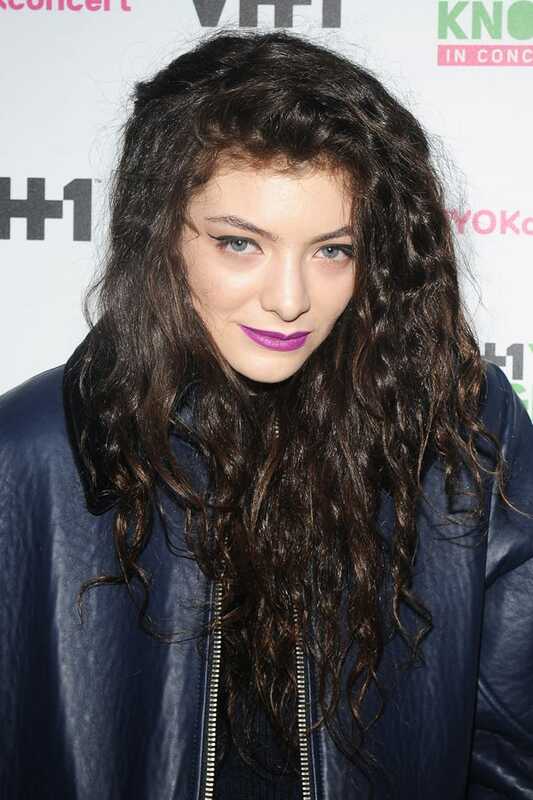 I mean, there’s just something so striking about the way Lorde looks in purple lipstick that appealed to me. And I have dark hair and pale skin. So why not try? I promise, I’ve wanted this bag for a lot longer than just pre-Valentine’s Day, but it seemed like the perfect opportunity to share my object of lust—the Hearts Leather Bag by La Lisette in Bordeaux. Normally, I’m not one to want an article of clothing or an accessory that is super well known or that everyone has (part of my problem with designer bags), but I’ve seen different variations of the Valentino Rockstud Shoes on different blogs lately, and…they just look so HOT. Ever since I first tried it on in October, I’ve been dreaming of By Terry Rouge Terrybly in Terrific Rouge. (Say THAT ten times fast.) Terrible name aside, at $49 a pop, By Terry Rouge Terrybly lipsticks are an investment, even when you are employed. So it took me a while to work my way round to getting this. And, guys? I’m in trouble. I want this formula in every color now. And I’m saying this about a lipstick, a RED lipstick, that’s not matte! If you know me at all, you would understand what my face looked like when I first found the Mrs. Pomeranz site. Sometimes, Bloglovin’ is amazing. I found it through a blog that was recommended based on a different blog I had just followed. Convoluted? Yes. Kismet? Yes, indeed. Mrs.Pomeranz is a small sewing studio located in London and Moscow. Specialized seamstresses create our beautiful, 1950s ’New Look Silhouette’ dresses from the highest quality English and Italian fabrics. Mrs.Pomeranz was created by Dasha Pomeranz in 2009. Dasha collected 1950s dresses for several years. Running her vintage shop ‘Good Bye London’ helped Dasha realize that a classical 50-s silhouette is the most flattering cut of all: these are dresses that can make you feel a little prim and proper… but a lot more feminine! Dasha found that the demand for 50s dresses outstripped the amount of vintage gems available. So she decided to create new dresses inspired by the 50s. With her trusted constructor she carefully reworked original patterns to fit the modern female figure: vintage cuts don’t necessarily fit today’s women, they can be too full in the chest and too thin in the waist. But Mrs.Pomeranz’s dresses fit perfectly: the cut slims the figure, the length compliments the legs. Thus the ‘New Look’ collection was born: dresses full of vintage grace but with a contemporary feel. We aim to make Mrs.Pomeranz’s dresses your favourite! It’s all true. I couldn’t pick just one that I wanted, so I’m here to show you my top 3. I was so super excited when Cult Beauty had the Topshop The Damned Collection in its winter sale. I’d been dying to get my hand on Velvet Lips in Velveteen Ribbon ever since I saw it on I Covet Thee, but I had no money to buy it at the time, and then it sold out in the US. I literally bought the collection set for just the lipstick, but it was worth it, because it’s a complete face in a bag! Funny story: Apparently nail polish is now considered a hazardous material, and so you can no longer ship it from the UK. In fact, because of this, it wasn’t letting me make my purchase. The amazing people at Cult Beauty responded to me right away and explained the situation, and said that they would remove the nail polish from the kit and send the rest to me. Awesome. Sometimes I go into Target and I come out with more than I bargained for. Case in point, this top. I know I should save my money for investment pieces, but this was so cute and decently priced. And it inspired this FOTD using Bite Beauty, Hourglass Cosmetics, and NARS.